The Yucatan Peninsula includes Campeche, Quintana Roo and Yucatan, is an expansive limestone Peninsula that extends northward into the Gulf of Mexico and eastward into the Caribbean Sea a wonderful birding and nature experience is waiting for you! Birding in the Yucatan Peninsula, Mexico. Again, it was a real pleasure to go birding with you and let me know iif I can be helpful in any other way! Thank you for a very good days birding. I exceeded my target of 10 new birds and the motmot was top of the list .Your ability to turn sounds into bird views exceeded any other guide I have been out with. I would recommend you to anyone who requires guiding in the Yucatan. 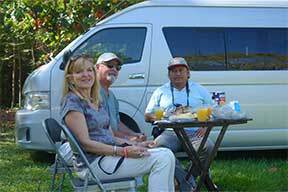 Hi bob- as we discussed, Luis ku Is the best birding guide in the Yucatan Peninsula. He has taken out some of the best birders in north america and has been on the winning team of the Yucatan world series of birding. He can take you to close in areas or some that are a few hours away.